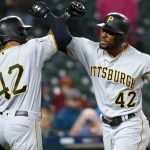 After a disappointing end to their road trip, the Pittsburgh Pirates returned home to PNC Park for the beginning of a crucial home stand against the Chicago Cubs. Two games in against the N.L. Central division leaders, and the Pirates haven’t even scored a run. 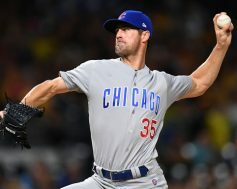 On Friday night, it was Cole Hamels who they Bucs couldn’t solve, as they fell 1-0 for the second consecutive night. 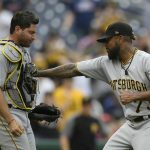 The Pirates managed seven hits on Friday, but also had three errors and they couldn’t get a that one key hit at a critical time to get on the board. Hamels gave up five hits and walked two in seven innings of work. The Cubs used four relievers to finish off the Bucs in the final two innings of the game. 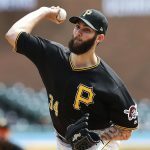 Trevor Williams pitched another solid game on Friday, giving up one run on four hits in seven innings. He fell to 10-9 with the loss. 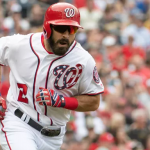 It was definitely a case of bad luck for Williams, who battled his way through seven innings against one of the most potent offenses in the league. The lone run for the Cubs came off the bat of Kyle Schwarber in the second inning. His 21st homerun of the season was a no-doubter to right field. These are absolute must win games for the Pirates, and they are choosing a terrible time for their bats to go cold. They have given up just two runs in the first two games of this series against the Cubs, and yet they have lost both games. The Pirates will look to bounce back against the Cubs in the third game of the series. Forget about the wild card talk as that is an afterthought at this point. The Bucs just need to win a game, and as a point of pride, they shouldn’t lose a series against a N.L. Central rival like the Cubs at home. Tyler Chatwood will take the mound for Chicago against Joe Musgrove for Pittsburgh.